14 September 2016 – British cyber-security firm Post-Quantum has appointed Tom Glocer, the former CEO of Thomson Reuters, as a strategy adviser. Post-Quantum specialises in developing defence-grade cyber-security solutions that protect the data and communications systems of global investment banks and other enterprises against sophisticated criminal and nation-state attacks. Glocer will focus on business development as Post-Quantum builds out its modular product suite to counter the growing cyber-security threat to the finance, government and healthcare verticals. His appointment follows an investment he made in the company in 2015. His extensive experience and familiarity with financial services will be of particular benefit to Post-Quantum as it builds on initial successes in the sector, which include deploying its modular product suite in partnership with IPC Systems and delivering a project for Barclays’ Global Information Security division. 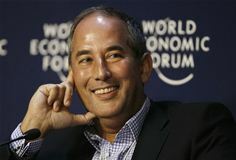 Glocer was at the helm of Thomson Reuters between 2001 and 2011, and is also a director at Merck & Co., Inc., Morgan Stanley, Publicis Groupe and K2 Intelligence. He is the founder and managing director of Angelic Ventures LP, a family office focusing on early-stage investments in financial technology, media, big data and healthcare. Glocer joins Post-Quantum’s notable advisory board, which also includes Brian Snow, former Technical Director of the NSA and Rebecca Bace, former NSA Research Leader and experienced tech investor with Trident Capital. Both are highly respected figures in the world of cryptology and cyber-security.